Some cool and easy to use features on the Blackberry KEYone! Rick here again with some more Blackberry KEYone insights. Today I'm going to share a few simple things you might want to try once you're comfortable with the basics of your device. Don’t want to miss a photo opportunity by fiddling with unlocking your BBK1? Double tapping the ‘Power button’ while the phone is hibernating will launch the camera. 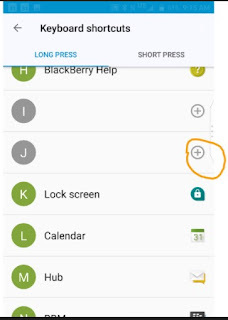 Want to set the‘convenience key’ underneath your volume buttons for a specific task? By default, selecting the Convenience key for the first time will launch you into the menu to select an action. 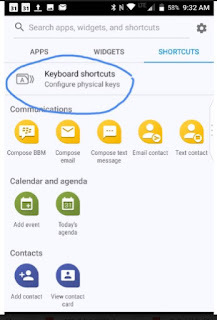 You can also get there by doing a long press on the letter ‘O’ on your keyboard or the long way by pulling down from the top of your BBK1 and clicking the ‘Settings Cog’. 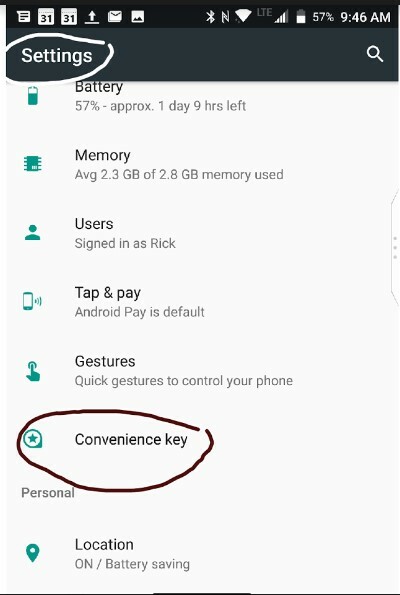 Scroll down to ‘Convenience key’ and tap. From there you can choose from the available options to set up Speed dial, Send a message or check out additional shortcuts by clicking ‘All shortcuts’. But wait.. it gets better. You can also choose to open ANY app! I set mine to open ‘Messages’ so I can get access to texting quickly. 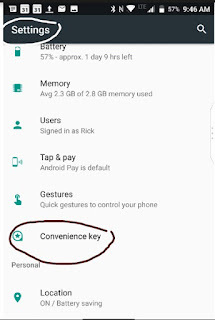 The convenience key works extremely quick, making it one of my most used features. Currently the screen has to be ‘on’ for the feature to work though. 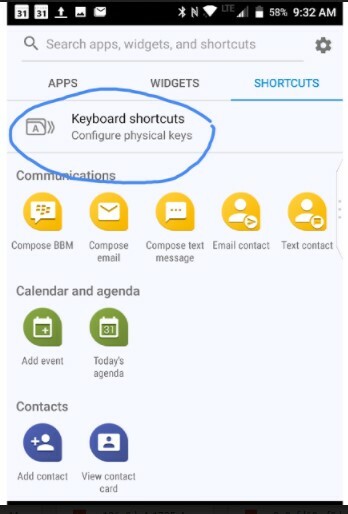 There are a bunch of ‘keyboard shortcuts like the ‘O’ key shortcut I mentioned above built into the Blackberry KEYone. 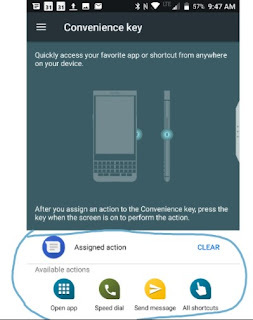 Meaning if you press on a key it will take an action like opening an app. Some shortcuts are already set by default, but they’re all configurable as well. 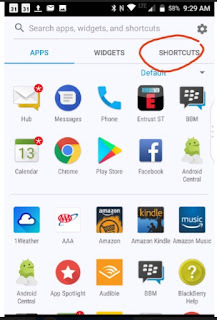 To configure your shortcuts: Go to your Apps Menu then at the top of your screen > tap on the ‘Shortcuts’ tab > Tap ‘Keyboard shortcuts – Configure physical keys’ . 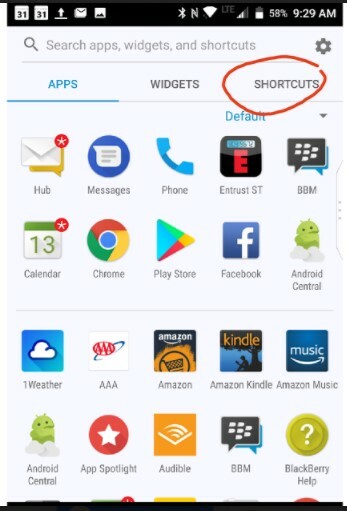 To add your own shortcuts you can select the + sign next to one of the letters that currently have no shortcut assigned OR you can edit/delete an existing one by clicking on the existing shortcut and choosing edit or delete. For example, I wanted to set up a shortcut that would automatically open my email app and send an email to my boss. 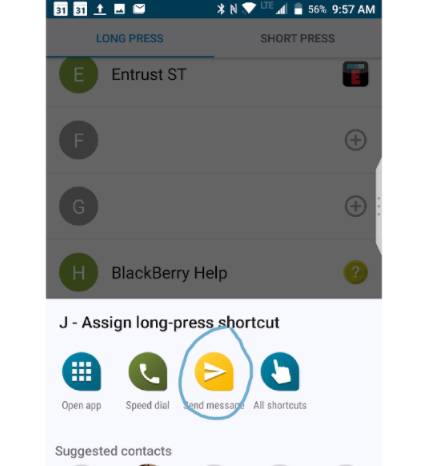 By selecting the letter ‘J’ for my boss ‘Jim’ to Assign a long-press shortcut and clicking on ‘Send message’, I’m able to select ‘email contact’ and choose from my list of contacts and email addresses. Now when I long press ‘J’ on the physical keyboard I can get right into creating an email to my boss. I think the only thing I'd like to see is a shortcut to bring me back to the home screen and an option to use the spacebar configurable for a shortcut. Sure, you could use the power and down volume buttons simultaneously to take a screen shot, but with ‘notable’ you can take a screen shot and get right into the edit menu. That’s how I took the screenshots above and circled the items I wanted to point out to you. Then I was able to share them immediately to my share drive and add them to my blog. Setting up Notable is simple and easy to use. Open the ‘Notable App’. 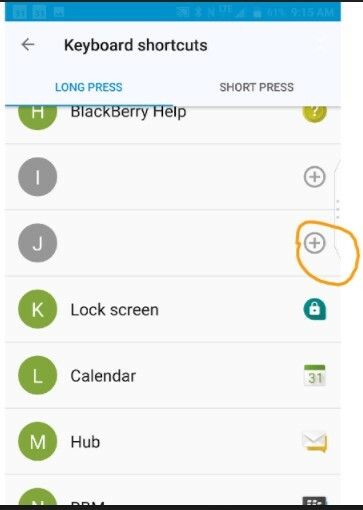 Under the three buttons settings menu in the right hand corner tap settings. I have mine set to allow ‘capture’ from the notification tray as well as to enable notable and editing capabilities to be activated on all screen shots. You can also see at the top I have a ‘quick share’ app set to ‘drive’. You can also change this to Email, text and other sharing options. And that's all she wrote for now! Of course, stay tuned for more tips/tricks and more reviews. Have questions on the BBK1? Ask me!